Search Engine Optimization: Getting your website to the TOP! | BMT Micro, Inc.
Search Engine optimization, more commonly referred to as SEO, is not an easy concept to grasp a hold of and implement. Google has a thirty two page Beginner’s Guide to SEO, and that is just scratching the surface. A person could do research for days on Search Engine Optimization and still not be an “expert” on the subject. However, not many people have the time to research that extensively. This post was written in hopes of giving beginners out there a basic overview, and to highlight key points that will help beginners with their Search Engine Optimization campaign in order to get their website to the TOP! The most basic definition of SEO means finding ways to increase your site’s appearance in web visitors’ search results. This in turn should generate more traffic to your site. Basic search engine optimization is essential to help position your website properly to be found when current or potential consumers search for you site. So, what are search engines looking for? Below are a few things to keep in mind when trying to increase your search engine optimization. Keyword Optimization is the art of choosing the best keywords to drive qualified traffic to your website from search engines. You should be conscious of placing appropriate keywords throughout every aspect of your site including your titles, content, URLs, and image names. The title tag and page header are the two most important spots to put keywords. However, putting ridiculous amounts of keywords on your site will get you labeled as a spammer. Search engines have what they call a spider, which is a piece of software that follows links throughout the internet, reads the content, and reports back to the search engine. The spiders know to ignore sites that are stuffed with keywords. This could end up hurting your site instead of helping it. You want to make sure you are driving qualified searchers to your site. This means you need to determine and use the keywords that your consumers will be searching for. Analyzing the keywords you use to determine which ones are used the most and adjust accordingly. Including these keywords in Content that you write, can connect you with potential customers. By analyzing the words that your customers use, you can get a better idea of their needs and what words they associate your company with. Your content needs to be current, updated regularly, and original. All of these things also help increase your traffic. The best sites are designed with the end users in mind. The site needs to be appealing to them and user-friendly. A great way to keep up to date information is to start a blog and connect the blog with all of your other online sites. Another thing to keep in mind with content is that you do not want to try to trick or deceive the spiders that will be crawling the sites. Some examples of this are overuse of keywords, purchased links, poor user experience (make it user friendly!). Being consistent with keyword phrases across all of these platforms will not only help your branding efforts, but it will also help end users recognize and search for keywords that you place throughout the sites. Consistent Domains: Not every consumer will type in your webpage exactly as it is meant to be typed in. A lot of people tend to leave out the “www” part. Therefore, you need to make sure that however they type in the domain name, it directs them to your website. If they drop off the “www” and it brings them somewhere differently, then the search engine is seeing two different sites. This isn’t effective for your overall SEO efforts, as it will dilute your inbound links. Old domains are better than new ones. It is best to keep your domain name even if you change your website. Also, the longer a domain has been around, the better. However, be cautious if purchasing old domains. Make sure the old domain did not have a negative relationship with the search engines, which could in turn affect you when you assume their domain name. A Meta Tag is an HTML tag that provides information about a webpage. It is located in the “head” of your web pages. They provide information such as who created the page, how often it is updated, what the page is about, and which keywords represent the page’s content. These HTML tags give search engines, such as Google, meta data to help provide the best search experience for the user. For this reason, meta tags are important for Google SEO. You won’t know if your SEO efforts are working unless you monitor your search standings. You can use a free site such as Google analytics to track where your customers are coming from, how they are finding you, etc. You need to measure, benchmark, and implement change (if necessary) to remain on TOP. The most basic strategy with SEO is to always link back to yourself. This means that all of your internal links should link back to your site. You should make it standard to link back to your archives when creating new content. This should be used across all channels, as mentioned earlier. The more often relevant keywords point to your page, the more likely that page is to appear in search results when users search with those keywords. Adding a site map, which is a page listing and linking to all the other major pages on your site, it makes easier for spiders to search your site. The fewer clicks necessary to get to a page on your website, the better. You should try to make every page on your website accessible in a click or two. Most people love visuals and use them within their websites. It makes them more aesthetically pleasing and enhances the site. When it comes to SEO though, spiders can only search text, not images. 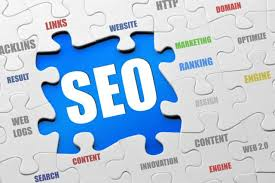 The visible text around your image is very valuable for SEO. Use descriptive text and captions under or near pictures. Another way to use images to add to your SEO value involves using the ALT attribute. Adding an”ALT” tag to images it allows you to include a keyword-rich description. This can be used on all of the images on your site. Again, keep in mind that this is just a beginner’s guide. There are many ways to help your Search Engine Optimization. The algorithm that search engines such as Google use to determine your ranking continue to change, so this is a topic you should continue to read up on and make sure that you are updating your website accordingly. As mentioned earlier, there are a lot of in depth, free materials around Search Engine Optimization out there, but keep checking back with us as we plan to write more in depth about this topic in the future! I coսldn’t resist commenting. Ⅴery well written!